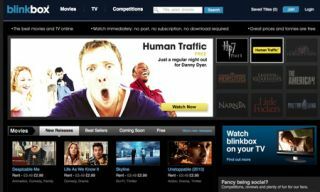 Tesco takes on Lovefilm with BlinkBox deal | What Hi-Fi? Tesco is going head-to-head with Amazon's Lovefilm by acquiring an 80% stake in the BlinkBox video-on-demand service, according to MediaGuardian. BlinkBox offers a range of films and TV shows as free and paid-for downloads, with a catalogue including Shameless, Peep Show and Top Gear. Tesco has acquired its stake in BlinkBox, set up by former Channel 4 and Vodafone executives in 2006 and launched two years later, from Eden Ventures and Nordic Venture Partners for an undisclosed sum. The supermarket giant, which reported profits of £3.8bn on Tuesday, said the acquisition of the five-year-old UK VoD business would help position the business for "the next stage in the internet-driven revolution in home entertainment". "Whether customers want to own the DVD, download a digital movie, stream a rental or all three, Tesco is committed to giving customers choice," Tesco's Richard Brasher told The Guardian. "We want to allow them to decide how they access entertainment content and on which devices, whether it's on PC, TV or tablet."